Over the years, our lives have become more streamlined and fast-paced. It’s easy to make that case that nothing is more representative of that then Keurig coffee machines. 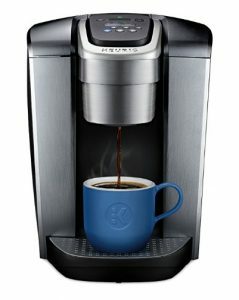 Keurig coffee makers have taken the home-brew coffee industry by storm over the past few years. Keurig machines have become popular because they allow users to make a single cup of coffee or tea at a time with a pre-portioned pod. Since Keurig has become popular, many companies have mimicked the company’s pod-like designs. But Keurig pods are by far the most universally accepted, which is why we feel they should be at the top of your list when selecting an at-home brewing machine. Consider this your comprehensive guide to help you find the best Keurig coffee maker for you. If you have not yet converted to a Keurig machine, there are numerous reasons why you should consider doing so. One of the biggest reasons to consider purchasing a Keurig coffee machine is because it cuts down on wasted coffee. If you only live by yourself or with a spouse or live with a family who does not drink coffee, you will end up losing a ton of coffee or money each morning. That’s because your only two options are to brew an entire pot of coffee or buy coffee from your local coffee shop. Odds are there’s little chance of you finishing an entire pot of coffee before you leave for work in the morning. Unless you work from home and plan on drinking a whole pot, which is often equivalent to 12 cups, you’ll find yourself dumping coffee down the drain before you go. And if you must purchase coffee from a store every morning, your costs will likely add up considerably. If you get the most basic cup of coffee without milk or flavorings, it could cost at least $2 per day. You will spend over $500 a year on coffee if you do that every day of the work week. That’s a pretty conservative estimate, too. Many people find themselves spending much more than that annually. Keurig and their compatible K-cups give you the perfect amount of coffee every time for a fraction of the cost. Keurig machines grant you the ability to brew in different sizes as well. This is the same as pouring your desired amount from a pot or going to a coffee shop and ordering a small, medium, or large. With Keurig, you still have flexibility in choosing how much coffee you want. It’s also important to note that some Keurig brewers are compatible with carafes. So, if you find yourself drinking a pot of coffee throughout the day, or host people regularly, you don't have to sacrifice the pot-style brewing. Even then, you have much more flexibility with flavors and drink varieties than you do with a standard pot-brewer machine. Keurig machines allow multiple people to get their favorite drink at any point during the day. If you prefer a particular brand of coffee in the morning, while your spouse prefers another brand, you can both leave the house happy. At night, one of you can brew decaf coffee while the other can brew tea without wasting a single drop. Additionally, you can purchase reusable K-pods that will give you even more flexibility when choosing a coffee. This can saves you costs as well. While K-pods are cheaper than buying a cup of coffee at a store, using reusable pods is even less expensive. You can buy ground coffee in bulk to fill the plastic cups. If you choose to use the pre-packaged K-cups, you also will not have to worry about messy coffee grinds like you would when brewing a pot of coffee. Personally, our team hates having to pull a soggy filter full of damp grinds out of a coffee machine. Keurig coffee makers eliminate this problem, as you remove the pod from the device and discard it. Lastly, the most convenient part of the best Keurig coffee makers is the time in which it takes to make a cup of coffee. Whereas a pot of coffee can take minutes to brew, a Keurig can have a cup ready in less than a minute. You can make your coffee while you are toasting a bagel in the morning, and grab both to take out the door with you to work. There’s no denying that your morning cup of joe can make or break or day. We kept this in mind when reviewing the best Keurig coffee makers. As in all of our reviews, we did everything in our power to remain honest, unbiased, accurate and fair. We know how important the morning cup of coffee is to you, which is why we tried to deliver results that you could trust, and believe that we did so. Not only did we test multiple Keurig models before making our recommendations, but we also considered outside information like customer reviews and data about each brewer. Even if our team liked a product, if it had hundreds of negative reviews online, there was no point in recommending it to you. The Keurig machines you’ll find below have been reviewed favorably by other coffee lovers as well. Of course, if you have had an experience with one of the Keurig units on this list, or have a different Keurig machine that you love, please feel free to share it with us! 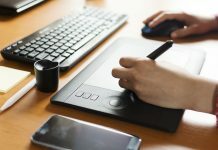 We are always looking for ways to improve our community, and that includes providing our readers with the most up-to-date information available. If anything were to change, we’d surely update this review immediately. If you’ve decided that you would like a Keurig but aren’t sure where to begin, the three listed below are a great place to start. After compiling testing data and reviews, they are our recommendations for the best Keurig coffee makers. For homebrewers, this was the best Keurig coffee maker that we found. It also appears that we were not the only ones who thought so, as it had a 4.3-star rating on Amazon. It is available for around $170 and comes in two colors, Brushed Slate and Brushed Silver. 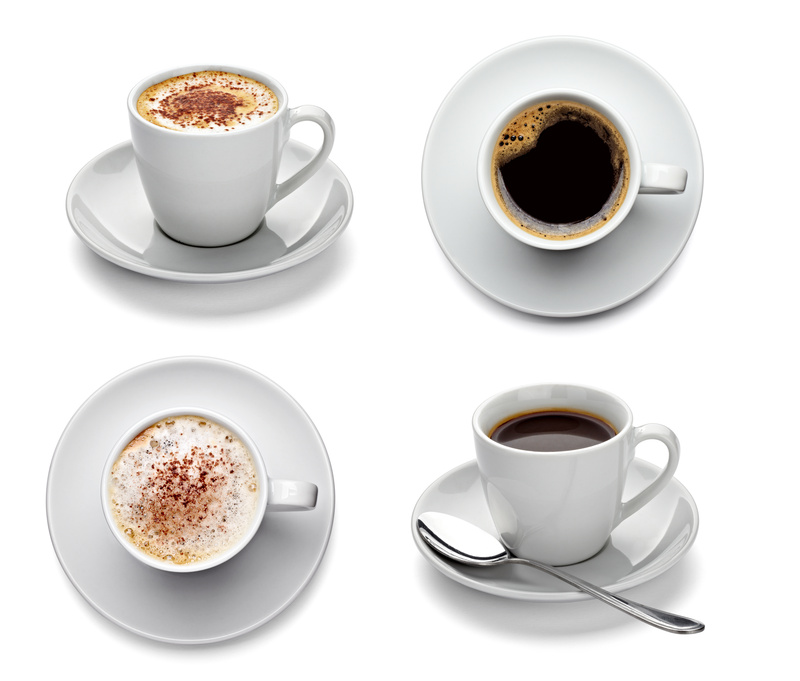 Keurig K-Elite allows you to choose from five different brewing sizes, ranging from four ounces to 12 ounces. It also features an iced setting which produces coffee that is not hot. When brewed over ice, you’ll have a refreshing beverage. The brewer also produces hot water on demand. If you are looking to make soups, oatmeal, or bagged tea, you can press a button for instant hot water, without having to wait for it warm up. The machine comes with a 75-ounce water reservoir so that you can use it throughout the day without having to worry about refilling it. Reviewers like the simplicity and effectiveness of the design. And some users said that they had replaced more expensive home-brewers with this machine and did not at all regret it. They also appreciated the fact that coffee was ready in under a minute. 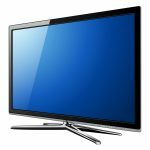 It has a 4.3-star rating on Amazon with over 200 customer reviews. You can purchase it for around $24. But that does not include a direct waterline kit. 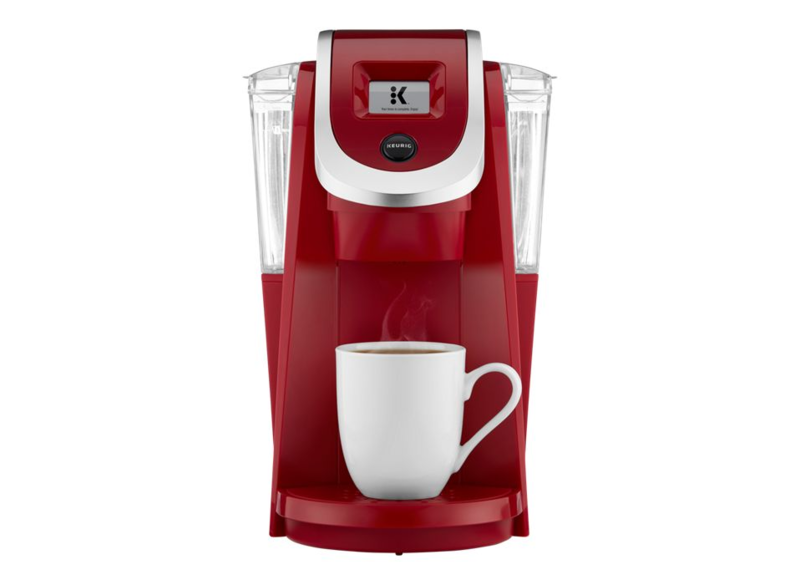 The Keurig K150 comes with a full-color touchscreen interface and the most prominent water reservoir of any of the Keurig machines at 90 ounces. Like the previous model, this machine also allows you to choose from five different brewing sizes ranging from four ounces to 12 ounces. And you can also decide how strong you would like your coffee to be. The machine comes with a drip tray that you can remove to place larger mugs underneath the dispenser. 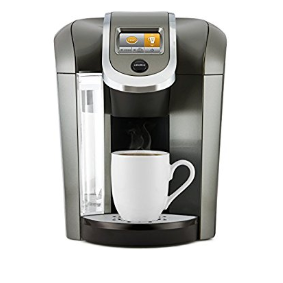 This Keurig brewer is another popular model, receiving a four-star rating on Amazon with over 1,500 customer reviews. This led it to earn on “Amazon’s Choice recommendation.” You can purchase the product on Amazon for about $180. Of those reviews, more than half were five-stars. Although the water reservoir is not as big as the K-Elite model, it is still big enough for you to brew over ten cups without having to refill the tank. There is a small light located underneath the water tank. You can choose from numerous different settings that allow you to illuminate your kitchen with different colors at night. This model also comes with temperature settings so that you can choose how hot or cold your beverage is. Like the K-Elite model, you also have access to hot water on demand for when you are preparing other foods. Lastly, this model has carafe capabilities, giving you the chance to brew up to five cups at once. Even though this review focuses on the best Keurig coffee makers, the process of doing so could still be very overwhelming. There are dozens of different Keurig models available. So it’s important to take the time to do your homework and find the right one for you. Keurig machines tend to be very durable, so you will likely use this model for the next few years. 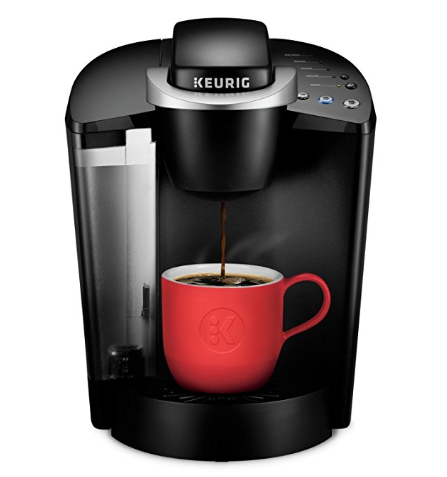 When choosing a Keurig, the first thing you have to determine is where you will be using your machine. 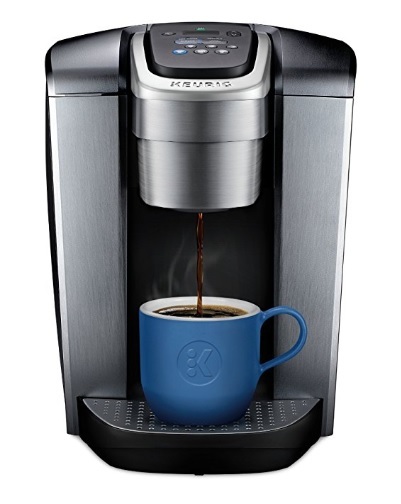 Keurig produces brewers intended for the home and for the office. This is typically based on how much use the device will receive. Looking to purchase a Keurig for your home? You must first determine if you'd like your machine to be compatible with a carafe. If you do not, your only decision then comes down to the size of your water reservoir. You can choose between a 48-ounce reservoir or a single-cup reservoir. Having a larger tank is more convenient. You will only have to refill it approximately every five uses. Choosing a Keurig brewer for the office isn't easy. The most significant decision you’ll have to make is whether you would like a direct water line or not. If you choose to have a direct water line, you will not need a water reservoir tank. This will reduce the frequency in which employees handle the machine. And if you do not have a direct water line, employees will have to take the top off the tank and fill it themselves. You can imagine how quickly this could become a mess if it’s being done at least once an hour throughout the workday. But if your office only has a handful of employees, a direct water line is probably the smarter choice. Once you have made this decision, you’ll then only have two more choices to make. 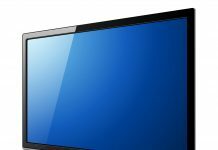 You’ll have to decide on whether you would like a color or black and white touchscreen. You will also have to choose if you would like automatic K-cup ejection and storage.